Yesterday, after a day of history adventuring and time traveling with friends, I visited the Fry Building, which was built in 1885, and is on the northwest corner of 2nd Street and Washington in downtown Phoenix. If you've been downtown, you probably have gone past it several times, and you may have even stopped in for a burger at the Sports Bar, Majerles. It's owned by Dan Majerles, a former Phoenix Suns basketball player, and now the coach of the Grand Canyon University Antelopes basketball team. Dan's place, of course, doesn't occupy all of the Fry Building, but to me it's in the most interesting part. 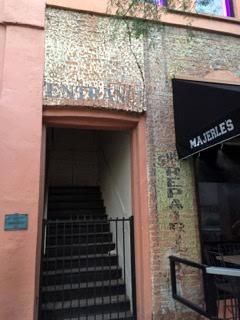 Elsewhere the Fry Building is just a typical old building in Phoenix, with the original bricks covered up ("modernized" is what it's called), but at Majerles, you can see the history. There are "ghost signs" on the bricks, and yes, they're real. If you go there, sit in a booth on the south edge of the restaurant. That's where you can get up close to the original bricks. As a history adventurer, I try to imagine Phoenix in 1885 when those bricks were laid. You can see that maybe they were in a hurry, or that the people stacking the bricks weren't all that good at their job, or maybe the bricks have settled. The line of bricks is irregular. I always like to imagine that the people working may have been have a nip or two of whiskey. And I'm not trying to be funny here, in those days being slightly intoxicated all of the time was kind'a common. No different than people lighting a cigarette in the 1950s, or looking at their Smart Phones nowadays. Before you leave, take a moment outside to look at the ghost signs. When Dan started his restaurant, in the 90s, he had the bricks revealed. I remember thinking how amazing that was. And there are other buildings in downtown Phoenix, like Steineggers, which have the same 1800s bricks covered up, which would be nice to see. 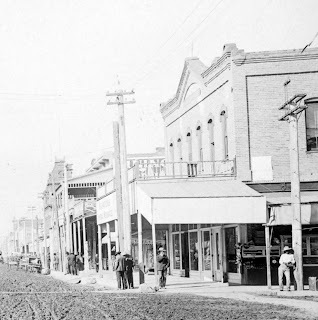 Image at the top of this post: the Fry Building in 1908. 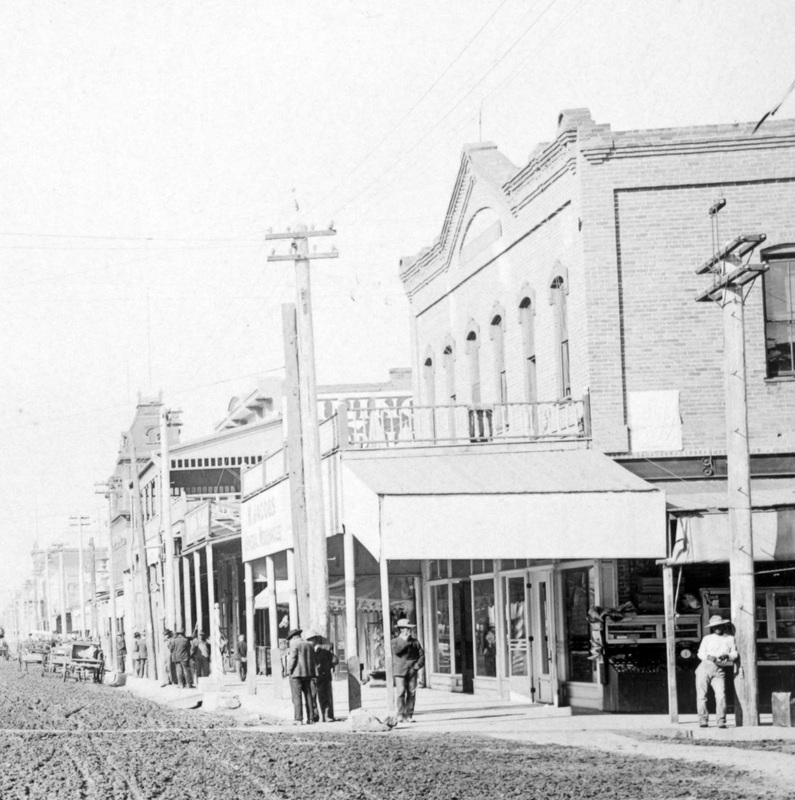 You're looking west down Washington from 2nd Street. Majereles is just to the right (outside of the photo) of where the guy in the hat is leaning on the telephone pole. Now that you've whetted my appetite, I guess I'll have to go in for a glass of wine.